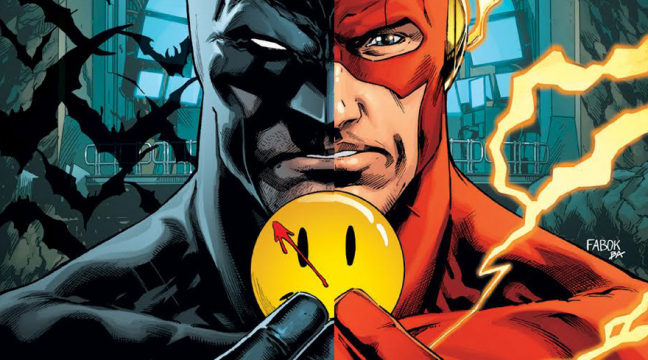 For better or worse, the big crossover involving Batman and The Flash is now behind us. Sure, some of us had mixed feelings regarding it, but we can all likely agree that it’s for the best the collected edition compile all four issues into one seamless tome as opposed to dividing them up in forthcoming volumes of each respective series. 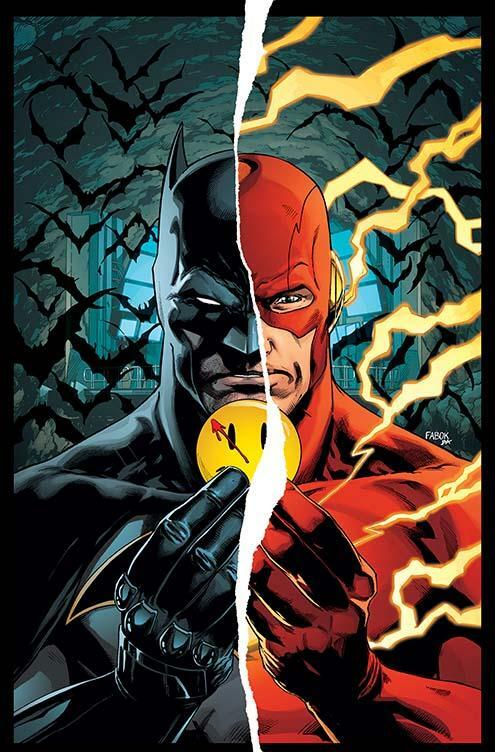 Serving as a lead-in to Doomsday Clock, this story may most fondly be remembered for delivering something we thought we’d never see in the form of a team-up involving Batmen Bruce and Thomas Wayne. Yes, father and son joined forces to bust a few heads, albeit temporarily. And although the ending didn’t quite deliver, you just might want to give the hardcover a closer look. My reason for saying so is that the first printing will bear a lenticular cover (see the solicitation for exceptions) much like the individual issues that hit comic shops in recent weeks. If you weren’t able to get your hands on a 3D copy considering that they went like hotcakes, this may be your second chance of sorts.